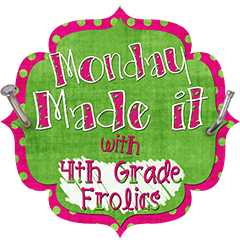 Monday Made it Freebies! - The Resourceful Room! It's Monday again already!! I don't like being so tired, seems my body is still not ready to be on a regular schedule!! I had a great weekend and got the chance to create a couple of activities I'd like to share! I have been working with my 6th graders on mean, median, mode, and range. We've used playing cards as a review activity, I give them each 5 cards they find the mean, median, mode and range of the numbers they have in their hand. I decided to create a little game for them to play this week if they finish all their other work.....here it is if anyone else can use it feel free!! 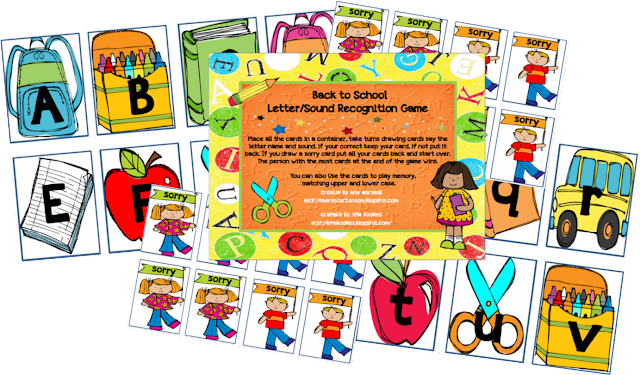 I also worked on a back to school letter recognition for the younger ones! Head on over to Tara's blog to see what everyone else is up to!! Love your mean median mode cards. 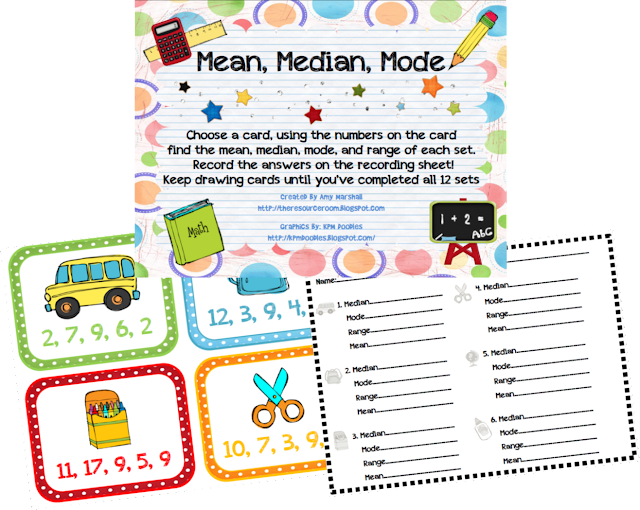 Love the mean, median, and mode cards! Perfect for my third graders! Will definitely use when we get to this topic later in the year. Thanks for sharing! The letter recognition cards are super cute! The Mean Median Mode cards are awesome! Thanks for sharing!